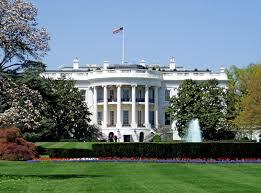 In our coursebook we have a reading comprehension on the White house. While vaguely interesting, to me more than my 12 year-old pupils, it is a bit flat to say the least. So this time I wizzed up the class by sending the pupils on a virtual tour/treasure hunt, with clues to help them find the rooms they needed to go in to find the information they needed in order to answer the questions I had set. A fun lesson that got us thinking about the children who have lived in the white house, a follow up lesson in the making? This entry was posted in teaching journal and tagged lesson ideas, TEFL, white house. Bookmark the permalink.